Nominative entries have been announced for the 2016 World Endurance Championship, which will take place in Samorin, Slovakia, on September 15-16. Endurance rider and horse breeder Chris Wray from Cwmcarvan near Raglan has bred the highest ever scoring endurance horse in a national young horse evaluation day. Chris’ colt foal, Kamili (Shuawaiman Al Rais x Cloud Stepper) gained his score in the Baileys Horse Feeds/ British Breeding/British Equestrian Federation (BEF) Futurity at Hartpury College on Tuesday (August 23). Kamili - which appropriately means ‘complete’ or ‘perfect’ in Swahili - scored an elite premium of 9.25 out of a possible maximum of 10. 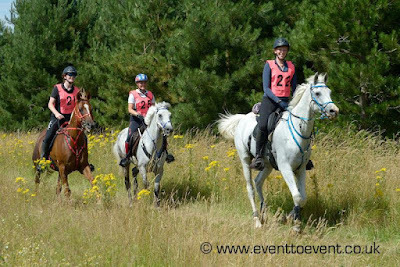 An International Veterinary Endurance Conference will take place in Samorin, Slovakia on Wednesday 14 September, just before the World Endurance Championships that will start on 18 September. The topics include presentations by some of the foremost experts in endurance veterinary science, and include genetics, training, clinical science, pathophysiology and physiotherapy. There are also presentations on horse welfare and a report on the Bou Theib system introduced in the UAE 2015-16 season. The conference is not an official FEI conference, but EOVs and EVTs may find it of interest. The event is organized by Tierklinik Lüsche GmbH. The equine clinic Lüsche GmbH is a so-called “full-service-hospital” for horses. All disciplines of equine veterinary medicine are represented, including lamness examinations, orthopedic and soft tissue surgery (including colic surgery). With the comprehensive diagnostic and treatment options the equine clinic Lüsche is the one of the most modern equine clinics in Germany. This event takes place at the same time as the Longines World Endurance Championship, Sept 15-16. A horse racing legend will be in North Devon next month to present prizes to winners of a popular equine endurance challenge. Riders at this year's annual Equitrek, being held on Exmoor next month, could have the honour of meeting equine VIP Bob Champion, who has agreed to support the event and will be presenting the prizes. On Day 3 of the 5-day 400-km Shahzada, Lightweight Melissa McCullough and Forbes View Sienna continue to lead with an overall time of 21:10. Lightweight Melissa Longhurst and Pioneer Park Wings of Sudan are 22 minutes behind. 45 started the ride on Day 1. With 2 more eliminated or retiring on Day 3, that leaves 32 still in the ride, with 2 more days to go. Nicolle Brown and Kie-Al Nasarian lead with a total time of 7:00. 103 started, with 21 pulls so far. When October 7 comes around, Tahnaya Mercieca will become one of the youngest riders in the Tom Quilty endurance ride. The 12-year-old MacKillop College student will be riding Malleegrove Qaarma, her 15-year-old pure-breed Arabian gelding, during the 160-kilometre race. The Tom Quilty, which will be held in the granite mountains of Victoria, is considered the pinnacle of Australian endurance rides. Qaarma, as Tahnaya refers to him, may not be her fastest horse, with the family owning seven in total, but she loves him just as much. TWO Table Top horses leave Australia on Wednesday for a journey that will end at next month’s World Endurance Championships in Slovakia. The pair will help their trainer Amanda Kettlewell, of Oso Arabians, achieve a longstanding goal. “You’re competing for your country, you don’t get much bigger than this,” she said. On Day 2 of the 5-day 400-km Shahzada, Lightweight Melissa McCullough and Forbes View Sienna have the lead with an overall time of 13:16. Lightweight Melissa Longhurst and Pioneer Park Wings of Sudan are 7 minutes behind. 45 started the ride on Day 1. 4 more riders were eliminated on day 2, leaving 38 still riding on. The 3-day 120-km Mini Marathon began today, with 103 starting and 13 eliminated. Two riders are tied for the lead with a time of 3:35: Andrew Jonkers and Girilambone Comet, and Kylie Jonkers riding Girilambone Venus. The FEI European Endurance Championship for Young Riders and Juniors is organized every two years. It is one of the most important European competitions, leading to the discovery of promising young Endurance riders. Particularly directed for riders between 14 and 21 years, its an important foundation of future professional Endurance riders. The last edition was in 2014, in Verona, Italy. This year, for the first time, this competition will take place in Portugal, in the Rio Frio Equestrian pole, from 2 to 4 of September. Over 20 countries are expected to bring over 100 riders and a total of 400 participants. It’s a 120km competition in several counter clock phases, where the rider’s ability to manage the horse’s effort is tested, along with the horse’s speed and resistance. At the end of each phase, a veterinary inspection takes place. Endurance is becoming a popular discipline throughout the world, and is nowadays, not only the second biggest equestrian discipline in competition number and participants, but the highest growing. According to FEI, more than 900 Endurance competitions are held every year, and the discipline has more than 6000 riders and 10000 horses registered. The 36th annual Shahzada has begun in St Albans, New South Wales. It runs August 22 through August 26th. 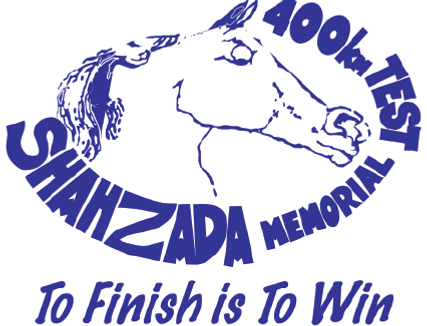 For those on younger, less experienced horses, the Mini Marathon of 120km over three days starts today, Tuesday, and runs through Thursday. 45 were entered for the 400 km, with 42 finishing day 1. Lightweight Melissa Longhurst and Pioneer Park Wings of Sudan have the overall lead, finishing the 80 km in 6:27. Tom Hagis and Indian Reinman, from Fries, Virginia, Ellen Olson and Bey Gibby, from La Motte, Iowa, and Dr Meg Sleeper and Shyrocco Rimbaud, from Frenchtown, New Jersey, will be traveling to Samorin, Slovakia for the 2016 World Endurance Championship on September 15-16. All three riders are raising money in various ways to help cover expenses, and they each have a GoFundMe page set up for those who want to contribute. My 10 year old Arabian gelding Indian Reinman and I have been chosen the represent the USA at the World Endurance Championship in Samorin, Slovakia next month. To help offset the tremendous cost of sending Reinman, Gina and a crew to the venue I am asking my friends to help. If we can spread the cost burden amoung the several hundred friends that we all have, this will be a reality. I am honored and humbled by this experience. The ride was originally scheduled for Dec. in the UAE but has been moved to Sept. in Slovakia. That doesn't leave us much time but with all your help I will proudly represent you and the USA. Welcome to Team Hagis and Team USA. I thank you all!! Gibbys going to Slovokia for the Endurance World Championships!! Due to the change in location and short timeframe we are looking for support with the cost of shipping him over! Gibby is 16 and this is his second World Championship and last hurrah" per say overseas! Gibby has had a fantastic year and worked soo hard to participate in the WEC! So we are looking for help in supporting Gibbs! We ship out in ONE MONTH!!! gooooo Gibbs!!! We are organizing for the trip to Slovakia for the world championship and there are so many loose ends to tie up!! I am rarely on FB, but posts get forwarded so I think I have read them all. I apologize for not responding to each one, but it is impossible for me to express how much the generous donations and the well wishes mean to me!! It makes me realize how fortunate I have been…not only am I able to compete in a sport that is my passion, but I work in a profession I love and have so many remarkable friends!! Thank each and everyone one of you! In particular, I need to thank Robyn, who set up the gofundme site (https://www.gofundme.com/MegSleeperEnduranc) and has been absolutely leaving no stone unturned in her attempt to help raise funds for this event! She even reached out to Bill Gates!! Thanks to Triple Crown and Southern States Feed- not only for making fabulous products that have helped us get here, but also for helping with travel support. Thanks to OmegaAlpha for nutritional supplements that support top level equine athletes (and dogs and humans too!). I will try to send updates periodically as we prepare, and as frequently as possible once we start the journey. I usually send out an email blog, but I will post it on FB and the gofundme site as well. The horses will leave from JFK on September thth following a 6 hour quarantine and land in Frankfurt on the 5th. They will then van to Samorin, Slovakia and arrive at the venue on the 6th. Opening ceremonies are on September 15th at 8pm, first inspection is on the 16th and the ride starts on September 17th at 6 am. For anyone interested, here is the link for the event website: http://www.wech2016.com. The venue looks gorgeous and there should be live streaming during the event. Brussels, Belgium - It was a French 1-2-3 led by Vincent Gaudriot on 9-year-old Tahar Du Barthas in the HH Sheikh Mansoor Bin Zayed Al Nahyan Global Arabian Horse Flat Racing Festival-supported Brussels Equestrian Endurance Masters (BEEM) 160-km ride on Thursday, August 18, at the Sonian forest region near the city of Brussels. Gaudriot who was fourth in penultimate stage of the five-stage 160-km ride, finished first with a time of 9 hours 8 minutes and 26 seconds recording an average time of 17.50kmph. It was a reversal of the fourth stage placing as Julien Goachet on Ulyssa De Coat Fritty who was third at the penultimate finished second while second-placed Virginie Atger on Quersane Des Pins, second going into the final loop, was pushed to third place. Post mortem results have revealed an underlying defect was probably behind the death of a pony in this year’s Mongol Derby. The mount of British dressage rider Tatiana Mountbatten died suddenly on day seven of the 1,000km horse race (August 10]), between urtuus (horse stations) 23 and 24. Investigating vet Dr Jeremy Hubert found a massive diaphragmatic rupture, which he attributed to either a congenital defect or the legacy of an old kick injury. The last of the four Longines presented Euston Park Endurance Rides, supported by Emirates Airlines, was the largest to date, with 81 riders starting this morning’s ride (Saturday August 13). The four classes saw three wins for the UAE and one for Great Britain in what was the final of four rides and the HH Sh. 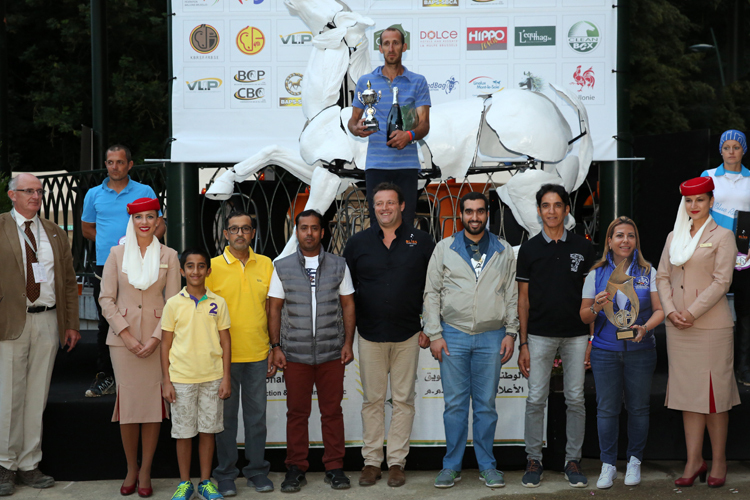 Mohammed Bin Rashid Al Maktoum Endurance Cup Festival. Great Britain’s Kate Atkinson (19) from Clitheroe, Lancashire riding Tannasg Psyches Realm put in an amazing performance in her first ride in the popular Young Rider’s CEI2* 120km, which had a starting line-up of 15 riders. The Brit put in a steady performance with consistently fast times meaning she was ahead on each loop and finished first in almost exactly six hours, with an average speed of 19.95kph and a qualification for next year’s Junior World Championships in Italy, as well as scooping top prize in the Best Condition Award. 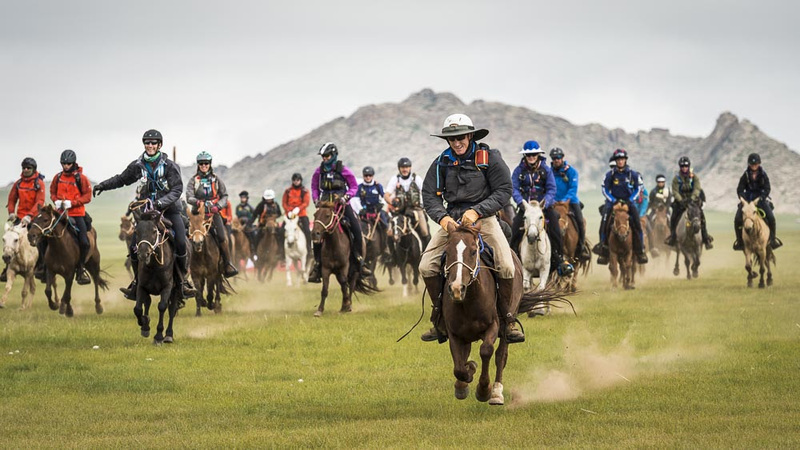 New Mexico endurance rider Marcia Hefker-Miles tied with two other competitors for first place in the 621-mile Mongol Derby horse race at 9:31 a.m. Thursday. That was Mongolian time, when many in New Mexico were just finishing Wednesday’s dinner. 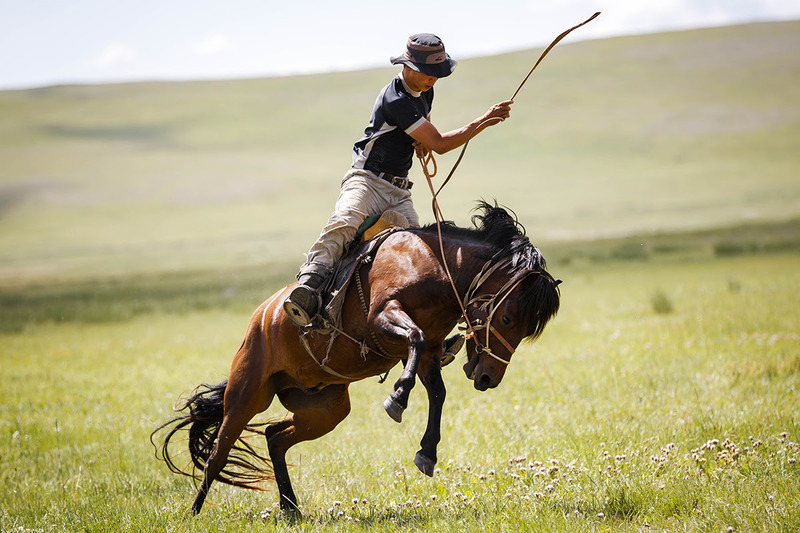 The derby, which follows the ancient postal route established by Genghis Khan across the rugged Mongolian steppes, is billed by organizers at The Adventurists as the longest, toughest endurance horse race in the world. Hefker-Miles, 45, grew up on a ranch in Carrizozo and works now as a nurse practitioner in Raton. She linked hands with Will “Dingo” Comiskey, an Australian rancher, and Canadian lawyer Heidi Telstad as they crossed the finish line together. 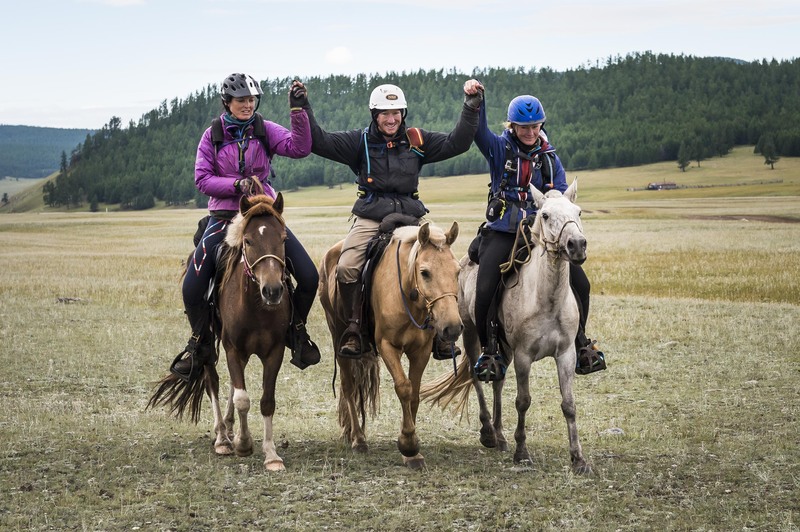 At 9.51am local time, Will Comiskey from Australia, Marcia Hefker-Miles from New Mexico and Heidi Telstad crossed the line, arms together, to take a triple dead heat in the 2016 Mongol Derby, the world’s longest and toughest horse race. Day 7 is over. Tonight, Heidi Telstad, William Comiskey and Marcia Hefker-Miles are at Urtuu 27. They have only one leg to go. It'll all be decided tomorrow. Tonight, USA rider Marie Griffis is without her steed. She dismounted for a toilet break in the woods and her horse trotted off without her, taking all her belongings. She looked for three hours in a steep sided valley between Urtuu 22 and 23 before admitting defeat and requesting help from our event teams. The verdict from the horse's owner? "Ah. Yes, he's done this before." If only she'd known. Venetia Philips and Tatiana Mountbatten are tonight camping between Urtuu 26 and 27 after a devastating day: the sudden death of Tatiana's horse between Urtuus. A post mortem examination has concluded. The vet identified a massive diaphragmatic rupture, which he believes to be a congenital defect or legacy of an old kick injury. The horse had been cleared by vets on leaving Urtuu 23, and there is nothing to indicate that the rupture was caused by strenuous exercise or Tatiana's riding. The horse's owner is Jamiyanmyadag. He has been informed, compensated and will receive our ongoing support. If you'd like to read more, there is a full statement here. The rest of the field saw some rider retirements from Krista Donnelly and returning veteran, Anna Christina De Jonquieres. Both riders are this evening in good spirits but the wear and tear of the race has defeated them. Chips Broughton has also re-retired. He had a fall on Day 5, rejoined the race on Day 6 and has today decided to retire and allow his injuries heal comfortably. Finally, a comment from one of yesterday's retirees, Cochetta Crowley: "The mountain passes in the Blood Wagon [support vehicle] were far scarier than they would be on a horse." Mongolia is better by horse. Follow @MongolDerbyLive on Twitter for live commentary on Day 8. The course opens at 7am. We'll be back on Wednesday 10th August with the best photo and updates from Day 7. Until then, here's the Day 7 Leaderboard. and a reminder of the Derby penalty system. At the close of Day 6, the leaders have ridden four Urtuu's in one day. All five of the front runners are within reach of the finish tomorrow. The question still remains who will get there first. Tonight's leaders are Venetia Philips, Tatiana Mountbatten and Marcia Hefker-Miles. They are only ten kilometers in front of William Comiskey and Heidi Telstad, who are only ten kilometers ahead Courtney Kizer. With five Urtuus to go and six more vet checks, that's not a decisive lead for anyone. In the back of the field, Chips Broughton has un-retired. He was out on Day 5 after a fall and retired on medical grounds. A good nights sleep later, he was much improved and requested a remount. After satisfying the Derby Medics, he was cleared to continue and tonight, he's made it to Urtuu 18. A rather impressive showing. Today saw a retirement from Julie Stewart after a fall. She's on her way to UlaanBaatar for assessment for an injured hip. Also out the Derby is Australian rider Cochetta Crowley. She finished yesterday at U13, and with over half the course to go, declared herself defeated. Follow @MongolDerbyLive on Twitter for live commentary on Day 7. The course opens at 7am UTC. We'll be back on Wednesday 10th August with the best photo and updates from Day 7. Until then, here's the Day 6 Leaderboard and a reminder of the Derby penalty system. Any penalties picked up by the leaders from now on will be served at the station incurred - which could have decisive consequences. At the close of Day 5, the front thirteen riders have solidified their lead. Clustered between U17 and U18, the Derby title could be claimed by any of them. In Urtuu 18 tonight are the front pack: Venetia Philips, William Comiskey, Tatiana Mountbatten, Courtney Kizer, Heidi Telstad and Marcia Hefker-Miles. Of those, Courtney Kizer is currently carrying a 2 hour vet penalty. If the other five don't pick up any further penalties, she alone will be held at Urtuu 21. Shortly behind them, camping on the steppe is Australian rider Shannon Nott. He began the day with Courtney Kizer and Marcia Hefker-Miles but was delayed when he lost his horse. He requested Derby assistance to retrieve it and rode on with the hour's penalty. He finished the day with an astounding 9 minute turnaround at Urtuu 19 before riding on. Clearly he's determined to catch up. Bedding down at Urtuu 17 tonight, are the trailing pack of six: Camille Champagne Bargenquast, Alice Newling, David Redvers, Alexandra Hardham, Peter Molony and Marie Griffis. With the Urtuus only 40kms apart, if any of the leading thirteen riders pick up vet penalties from now onwards. It could push them out of the final top ten. In the back of the field, Day 5 saw some retirements. Babs Ketelaar was retired on medical grounds after showing no improvement on yesterday. Chase Becker is also out. She had a tricky fifth day chasing after an escapee horse at Urtuu 11, but a troublesome ankle injury has worsened. Fahad Al Thani has retired. He's received two carry forwards, each have a 3 hour penalty meaning he's well out of the running for the Race Class. After a bruising fall today, he has decided to call time on his Derby at Urtuu 11. Day 5 has proved to be exceptionally unlucky, as a further three riders are retiring on medical grounds. Household Cavalry team-member Tom Alden is out after a fall near Urtuu 11. He's been evacuated for assessment in hospital in Ulaanbataar. Adam Casey has retired at Urtuu 12. He endured three brutal falls yesterday and after a short ride today, he's also on his way to UB this evening for a thorough medical evaluation. Finally, Veteran jockey, Chips Broughton has also retired. 20kms after Urtuu 14 he suffered a crunching fall and sought shelter in a local house. He's been assessed by Derby medical teams and he's unfit to ride onwards. Day 5 finished with a Race Hold at imposed at 6.45pm. Any riders who came into an Urtuu in the final 1 hour and 45 minutes were held there as medical teams were engaged and couldn't guarantee cover for the field. We expect to open the course again Tuesday at the usual time of 7am UTC. We'll be back on Tuesday 9th August with the best photo and updates from Day 6. Until then, here's the Day 5 Leaderboard and a reminder of the 2016 course. "They've passed up some world class Khuushuur at U14 and a dry bed surrounded by racing medals to hang onto a 30 minute lead and sleep in a ditch. Plus U14-15 is the most beautiful ride. Perhaps the most stunning on the course except that it's hammering it down with rain, so they won't see much of it." The fortunes of the leading pack have changed swiftly and the next 48 hours could decide the Race Class riders. The front six are overnighting in Urtuu 11. As the first of the two penalty Urtuus, all except rider Venetia Philips will be held there in the morning. Venetia will have to choose whether to sit out the penalty with friend Tatiana Mountbatten or ride on without her. All the riders in the field will sit out their penalties accrued so far at Urtuu 11, meaning the first rider out the gate from there is the overall race leader. Camping on the steppe tonight beyond Urtuu 10, Shannon Nott and William Comiskey are both riding penalty free and either might be able to overtake the leading pack through Urtuu 11. Both chaps had trouble with their horses today. Shortly after leaving Urtuu 9, William's horse went lame, and he turned back, splitting with previous riding companion Heidi Telstad. This manoeuvre cost him several hours as he walked the horse back to the vets at Urtuu 9 and saddled up a different steed. Meanwhile Shannon Nott's horse started to thump and he called the vets out to him. Diagnosed and treated for an electrolyte imbalance, the horse will be fine. 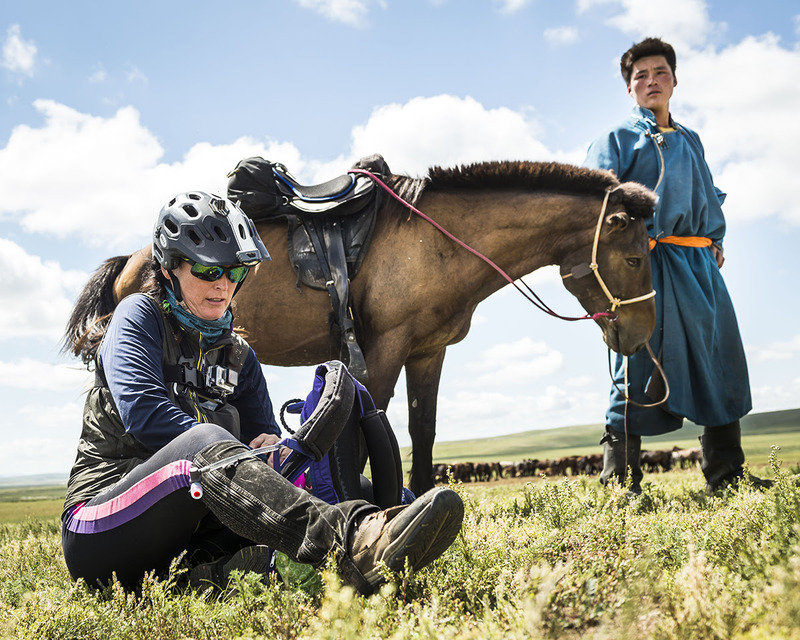 It might cause more of a lasting problem for Shannon's previous riding partner Alexandra Hardham who lost her GPS device, scuppering any chance for her to ride solo. "She's parasitic on the other riders now," says Race Chief Katy, "if she can't keep up, she's a sitting duck." As the race progresses, many of the riders are beginning to show signs of deterioration. Bucking the trend, riders Courtney Kizer and Marcia Hefker-Miles are creeping up the order. Both hailing from the States, they are proving themselves extremely fit and not showing signs of tiring. Courtney has only 28 minutes of penalties and already at Urtuu 11, she's well placed to be at the head of the leaderboard for Day 4. In the rest of the field, the race is going well. Babs Ketelaar rode a large part of Day 3 on her own and was treated to a kick in the face from her horse. She's got a split lip but is in good spirits and has the comfort of being reunited with friend Josefine Schopman at Urtuu 8 this evening. Another rider seeing the bright side in an inauspicious situation is Swede Carin Ostergren. She lost her horse, and ran the distance into Urtuu 8 to seek assistance. After initial reluctance, it was recovered and Carin was "treated to a display of retina-burning lassoing from the Mongolian herdsman, so that penalty hour will seem well worth it" reckons Race Chief Katy. Retina-burning, on this occasion, is a positive. Fellow Swede Sara Pickthall has retired from the race. Medically fine, she's bruised, saddle sore and has chosen not to continue. She'll cheer on friend Carin from the sidelines. Day 3 also saw another retirement from Madison Smith on medical grounds. She fell off her horse yesterday and returned to Ulaanbaatar for treatment. Tests have shown no cause for alarm but she'll not be returning to the Derby this year. 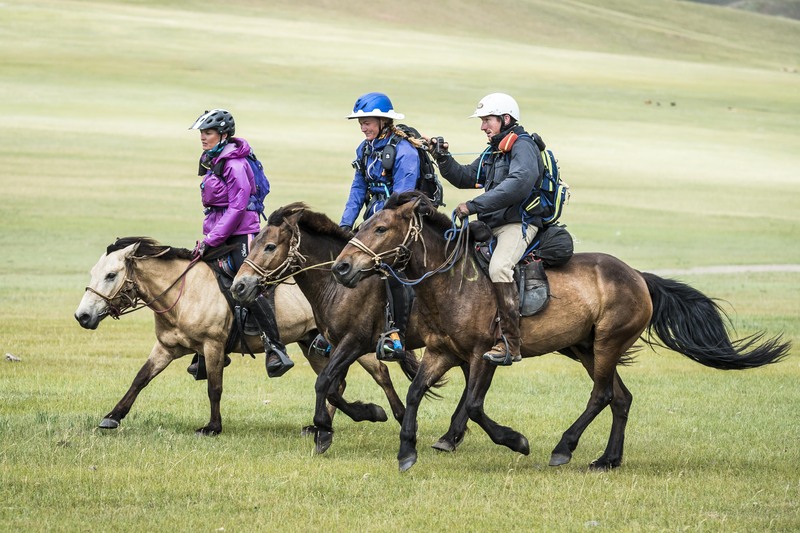 Finally, yesterday's Mongol Derby Digest referred to the leading 'four ladies'. A poor choice of collective noun since their number included Mr Shannon Nott. Sorry Shannon. The riders are being tracked live. Find out all the ways you can follow the race on the Live Tracking Dashboard. We'll be back on Sunday 7th August with the best photo and updates from Day 4. Until then, here's the Day 3 leaderboard. 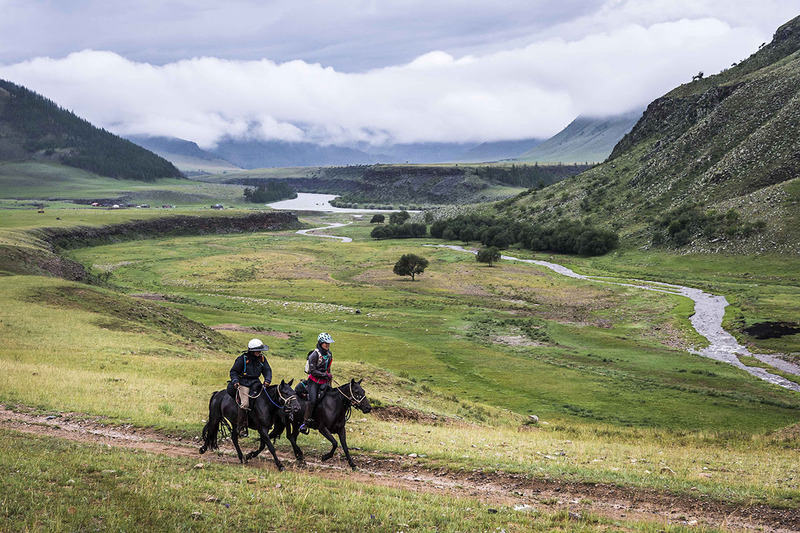 See all the previous leaderboards on the Mongol Derby Rolling News, or revisit the penalty rules that will keep some riders at Urtuu 11. The young teen with a feathered mustache shuffled over to me, his eyes slightly down cast as he tried to shove the lead rope in my hands. Reflexively, I sighed and waved him off. I’d already ridden more than 60 miles today and it was only 3 p.m. My grasp on reality—and good manners—had vanished many kilometers before, left somewhere out on the wide open steppe. Mongolia. August, 2015. The sun was an angry burning orb in an endless blue sky, no clouds in sight to offer even a wisp of respite from the heat. Sweat ran in small rivers down my back and chest, drenching my long sleeved shirt intended to protect my skin from the vicious UV rays. The only thought I had was seeking shade in the nearby ger, where I could sip water and try to settle the dizziness and nausea that had been plaguing me since the early morning. Day 2 of the Mongol Derby 2016 is done and the leaderboard looks totally different. The race saw its second retirement from UK rider and former professional jockey Kevin Darley, defeated on this occasion by bad knees. 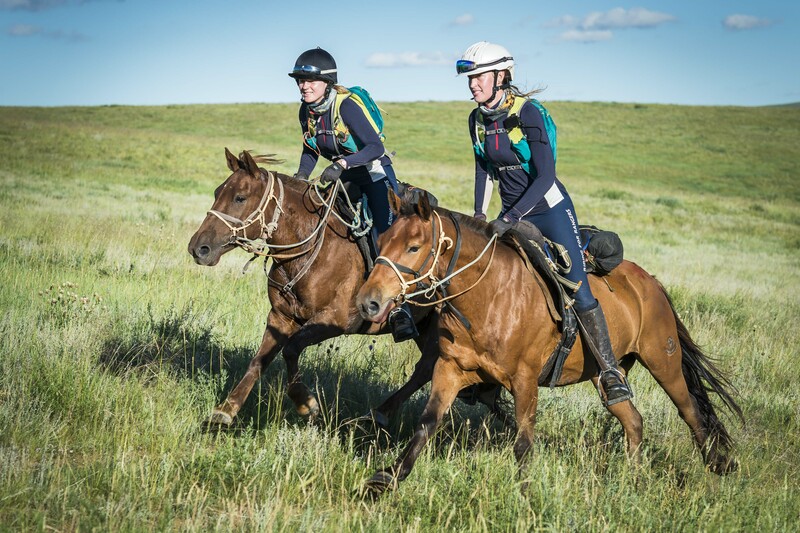 At the front of the field, Venetia Philipps and Tatiana Mountbatten (Team Riding for Rangers) are camping out with fellow Brit Alexandra Hardham and Aussie Shannon Nott. With Alexandra and Tatiana carrying 2-hour penalties each, the 4 ladies will be faced with a choice at Urtuu 11; to wait together and risk losing their lead or separate and hope they can regroup later. Yesterday's front-runners William Comiskey and Heidi Telstad are still riding together but have slipped down the ranks, proving how quickly fortunes can change on the Steppe. Across the rest of the field multiple riders are getting thrown off their horses. US rider Marie Griffis is choosing a series of outstanding horses from the line ups, and it's been paying off as she's made good progress up the ranks. Choosing live-wires has drawbacks and on the third roll of the day she sustained an injury. She finished the day at Urtuu 6 with a bit of a hobble, helped along by her current riding companions Rosie Bathurst and Alice Newling. With luck, the three of them might have a dryer nights sleep than last night. Attempting to camp in a goats pen, they were caught in a downpour before they were rescued by local herder family and treated to multiple samples of the local vodka to warm up. Tonight, they'll be sleeping with seventeen other riders at Urtuu 6. Space may be more of a issue than the weather this evening. Sebastian Bridger also met the ground more often than planned today. He was bucked off three times between Urtuu 4 and 5 before accepting a carry forward from the race team which comes with a 3 hour race penalty. Of the five Household Cavalry team, only James Harbord and Urbain Tego Tagne are currently riding without penalties. They too will have to decide at Urtuu 11 whether to sit out the penalties as a team or to split into two factions forming a breakaway penalty-free group. We'll be back on Saturday 6th August with the best photo and updates from Day 3. Until then, satisfy your Derby appetite with our Rolling News. A single post with all the Derby pictures and updates since the race began or read the explanation of the Derby penalty system. The Mongol Derby is live. Forty-one riders made it to the start-camp and the Race has whittled their number to forty. At the close of Day 1, the early race leaders are Heidi Telstad and William Comiskey. She's a lawyer from Canada, he's a cattle herder from Queensland. They are perhaps not the most obvious team in the group. It remains to be seen if they will still be riding together when dawn breaks. At the close of day 1, we've got a record number of campers. 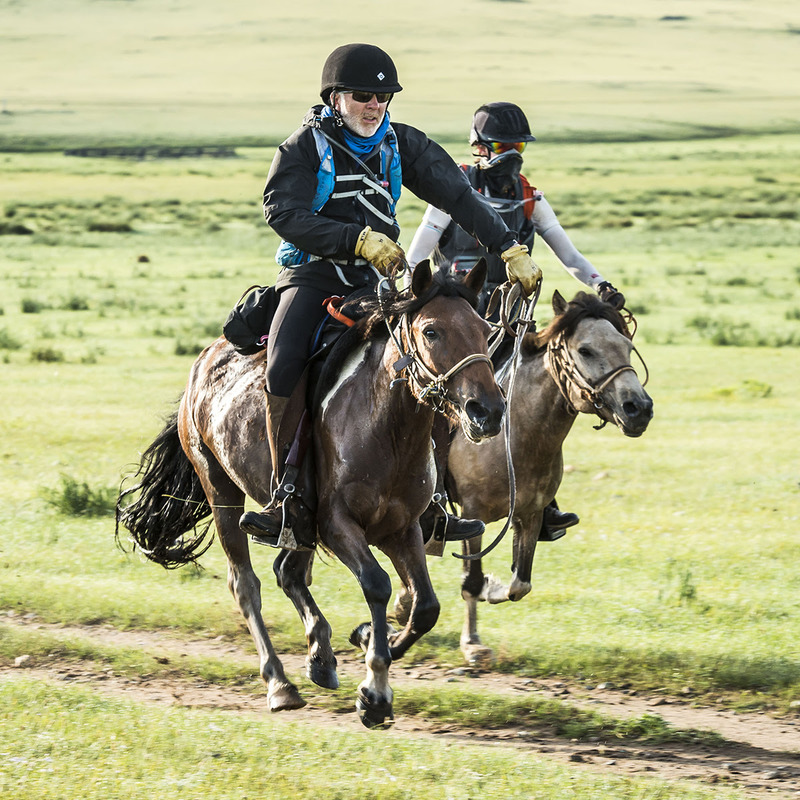 Of the six riders who came first into Urtuu 3, five went out again to try in the hopes of getting a head start in the morning. Only Hanna Backstom decided to stay put: warm dry and catered for. She will likely get a better nights rest, but she'll be competing with the stragglers who joined her at U3 before the course closed. Meanwhile, the five riders who chose the open steppe will be camping in the rain. Will the risk pay off and, perhaps more pressingly, will their horses still be there? The morning saw the first retiree from Loden Burton. Get the full Day 1 Leaderboard here. All the riders are being tracked live. For all the ways to follow them, head to the Live Tracking Dashboard. 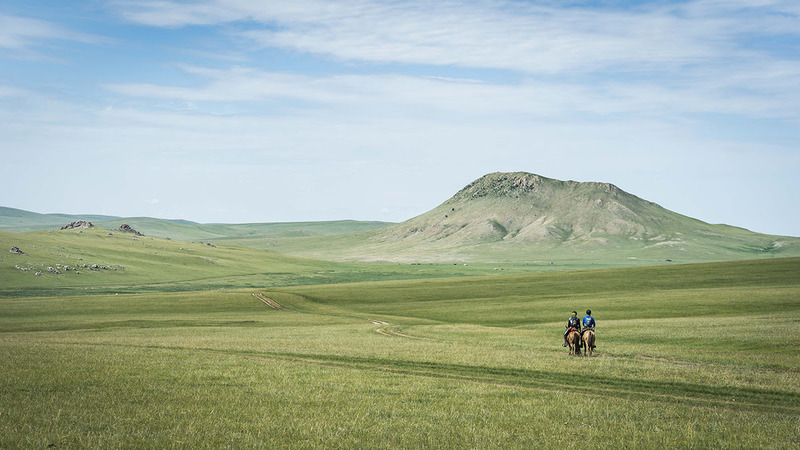 The 8th Mongol Derby began today, 10 days to race 1000 kilometers across the steppes of Mongolia. 41 riders are on course. USA riders are: Pierce Buckingham, Loden Burton, Adam Casey, Michael Connerth, Tim Finley, Marie Griffis, Dr Kelly Hale, Marcia Hefner-Miles, Courtney Kizer, Madison Smith, and Julie Stewart. 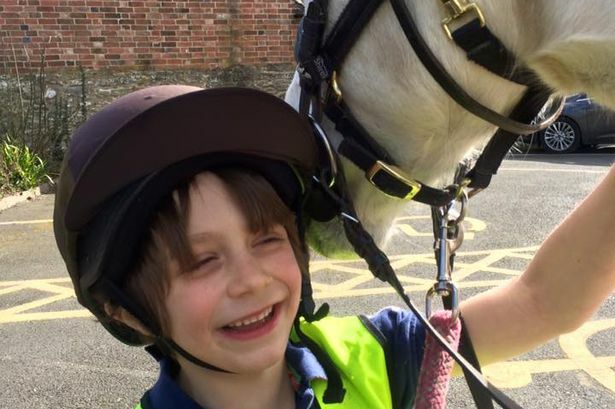 A RIDER from the Cotswolds set off to take part in the toughest horse riding challenge in the world on Sunday. 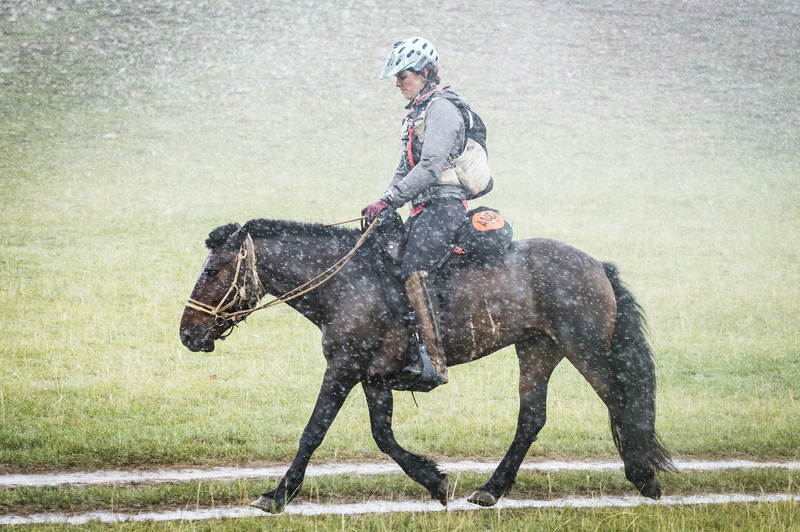 Rosie Bathurst, 24, has travelled to Mongolia to take part in the 1,000km Mongol Derby, all in aid of a charity that supports vulnerable veterans. The Endurance GB International Committee is delighted to announce the athletes and horses chosen to represent Team GB in the upcoming Senior and Young Rider Championships. Senior Team Chef D'Equipe, Liz Finney commented that “after a late change of venue, we now have a team of four horse and riders, plus a reserve horse, who are extremely keen to compete at the World Championships in Samorin, Slovakia in the middle of September. Young Rider Chef D'Equipe, Jo Chisholm, commented that "we now have an excel- lent squad of Young Riders who have worked extremely hard to qualify themselves and their horses. Having worked with them during the year I can say that it is an absolute honour and pleasure to be working with a group of such dedicated and professional youngsters." John Robertson, Director of International for Endurance GB, added that "the path to both Championships has not been straightforward, but we are reassured by the high calibre combinations who will be representing Team GB at both Champi- onships this summer. I would like to wish all GB competitors a safe journey and the best of luck for the competitions that lie ahead." “Despite not having a large pool of horse/rider combinations qualified for the YR Championships, we now have an excellent squad of young riders who have worked extremely hard to qualify themselves and their horses. Having worked with them during the year I can say that it is an absolute honour and pleasure to be working with a group of such dedicated and professional youngsters. Travel plans are coming together and we are working closely with the YR Squad Management and the riders, their families and crews to get the best possible op- tions for them and the horses, to ensure they arrive in Portugal in tip top condi- tion. We believe the course will be fairly flat but probably dry and sandy, which is similar to some of the qualifying rides that the combinations have experienced this year. The temperature at the Championships will likely be in the high 20's to low 30's, but fortunately we have been experiencing some hot weather in the UK this summer and coupled with the riders training, especially for hot conditions, we are confident that this will be well within their comfort zone. “After a late change of venue, we now have a team of four horses and riders, plus a reserve horse, who are extremely keen to compete at the World Championships in Samorin, Slovakia in the middle of September. They are all very experienced international riders, three of whom have already competed at a championship ride, so will cope well with the environment and hype of a world championship. It is a long journey to the venue, involving two overnight stops on the way, the temperature at the venue will probably be in the 30'sC so careful planning is un- derway to ensure the horses have the best possible journeys, followed by a good period of acclimatisation on arrival in Samorin.